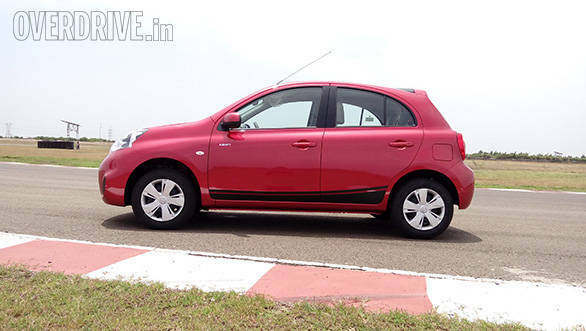 Nissan says that a major chunk of the Micras that thet sell in India are the ones with the continuously variable transmission (or Xtronic CVT). Now, Nissan has updated this transmission and promises better fuel efficiency. More importantly, it will be available in the mid-spec XL version too, hence improving accessibility. 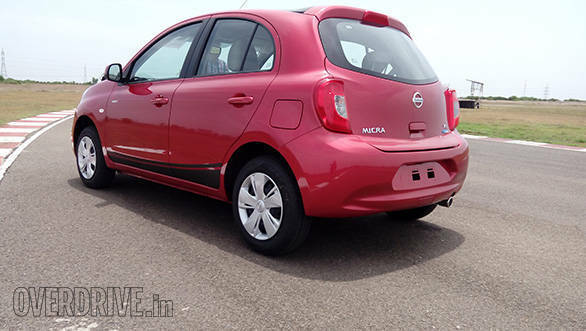 Visually the Micra is unchanged and it does look like a well-rounded car with a rather cutesy look overall. To celebrate the Micra's fifth anniversary in India, Nissan has also launched a limited edition version, the X-Shift. The car in the XL trim gets a matte black roof, black side decals and a chrome tipped exhaust. A small X-Shift decal is pasted onto the front left door too. Nissan has gone ahead and replaced the steering wheel on the current Micra with the unit that is seen in the updated Sunny. It has audio controls too and looks much better than the unit it replaces. The XL trim also gets an integrated audio system that has decent punch for the price. Floor mats are also standard and so are the LED scuff plates. The Micra has decent interior space but we wish there were more cubby holes to store knick knacks. The top-spec XV trim, which gets climate control, keyless entry, push button start stop, fog lamps, alloy wheels, rear windshield wash and wipe with defogger will also be available in the X-Shift limited edition version. The Micra X-Shift in its XL and VX trims will be limited to 750 units. 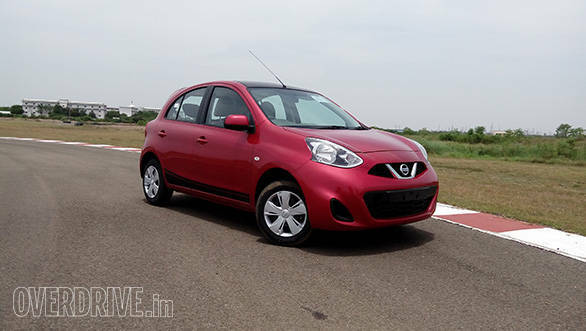 We got a chance to drive the car at the MMRT in Sriperumbudur in Chennai and although it was not the Micra's natural habitat, it did prove to be quite an entertaining drive. The CVT is very smooth and not as snappy as other CVTs. The quintessential rubber band effect of the CVT box is also not as pronounced as seen in rival transmissions. The result is a hassle free drive and the Micra works well in the congested environs of a city. Nissan claims a fuel efficiency of 19.34kmpl, which makes it better by about 1kmpl over the manual transmission fitted Micra. We shall evaluate its real world performance soon, but don't expect it to be largely different from the Micra CVT we have known so far.